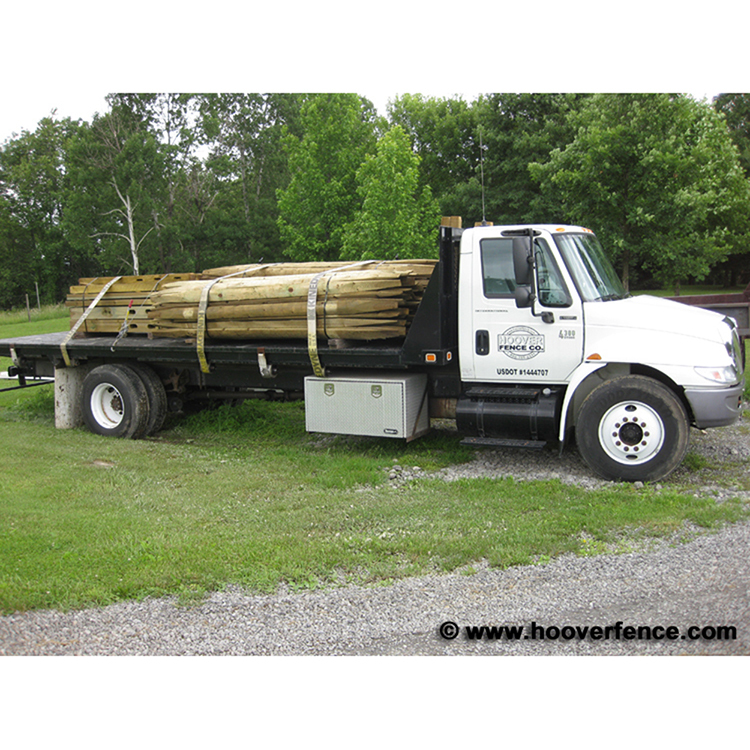 Wood Lap Rails - Treated | Hoover Fence Co.
Often called 'split rail fence', Treated West Virginia Lap Split Rail is not truly split when made; it is cut at a sawmill. 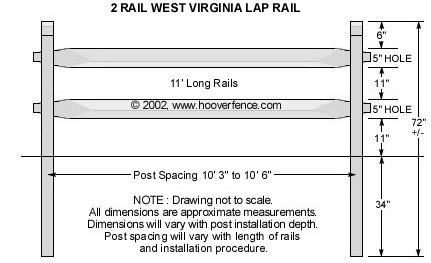 One side of the rail is often 'half-round' while the other side shows where the rail was put through a saw. 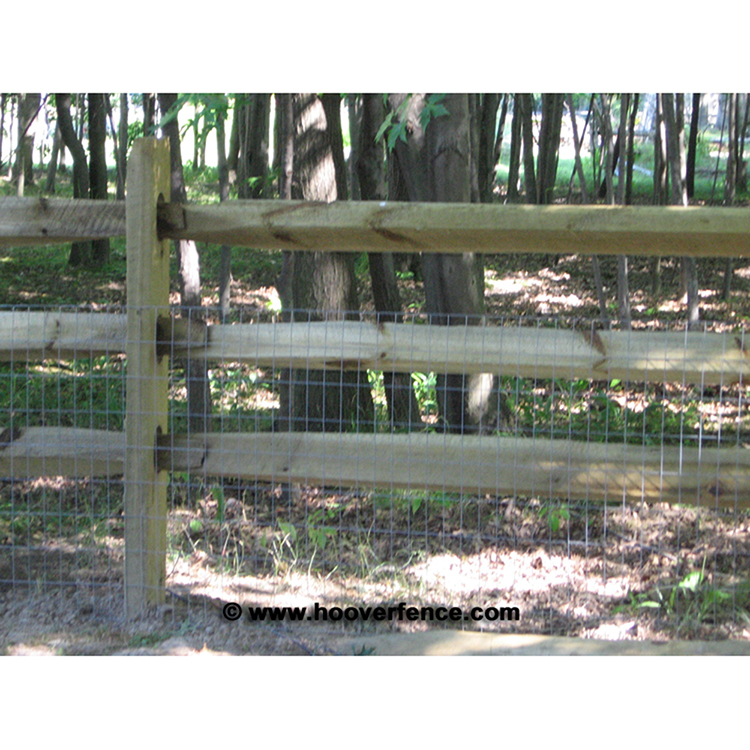 Typically the half-round side is faced out and the cut-side in. 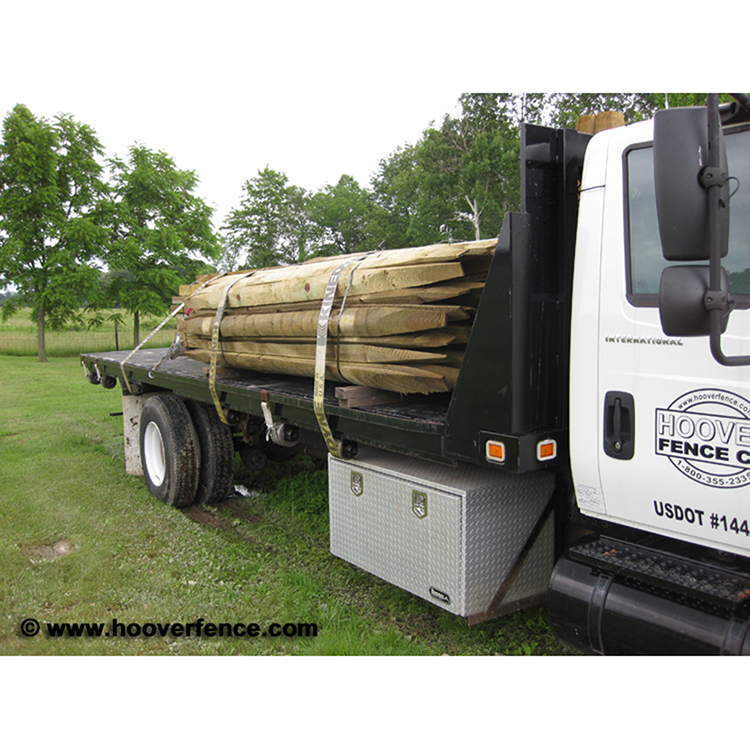 The pine posts are also run through a sawmill; the inside and outside of the post is often cut and the sides may be cut or be a natural half-round. 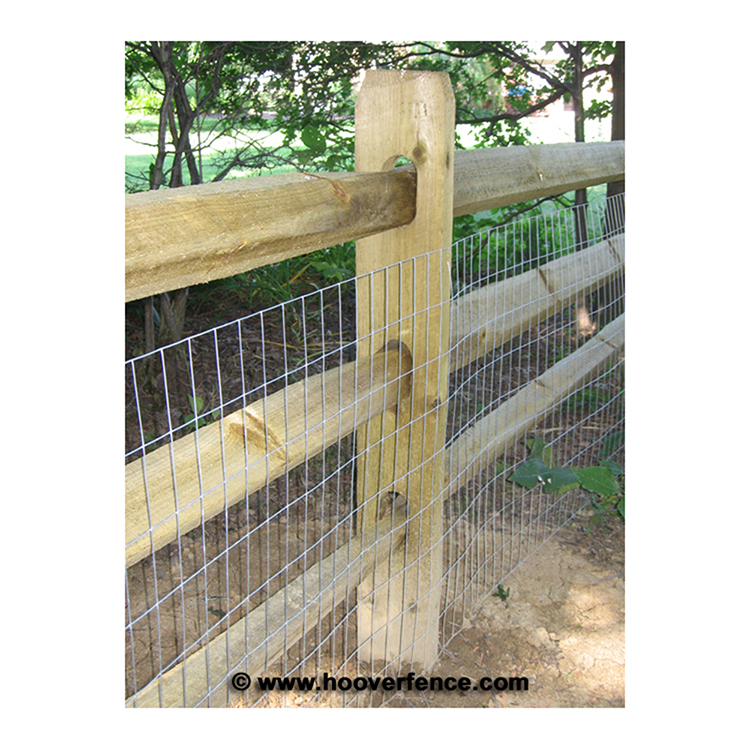 Treated lap rail fence is very rustic in appearance. 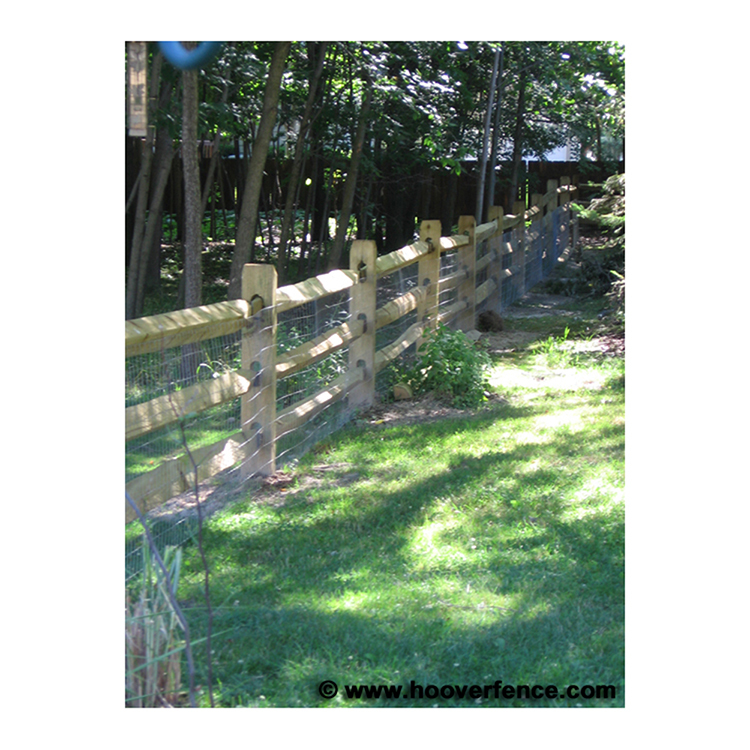 Each rail and post come in a slightly different size and shape. 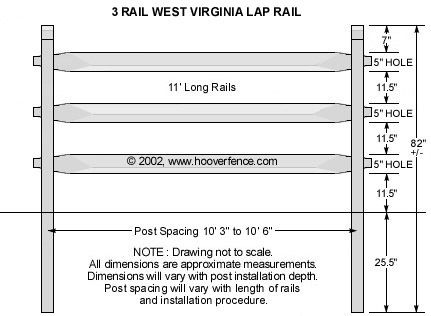 WV lap rail is available in a two rail (approx. 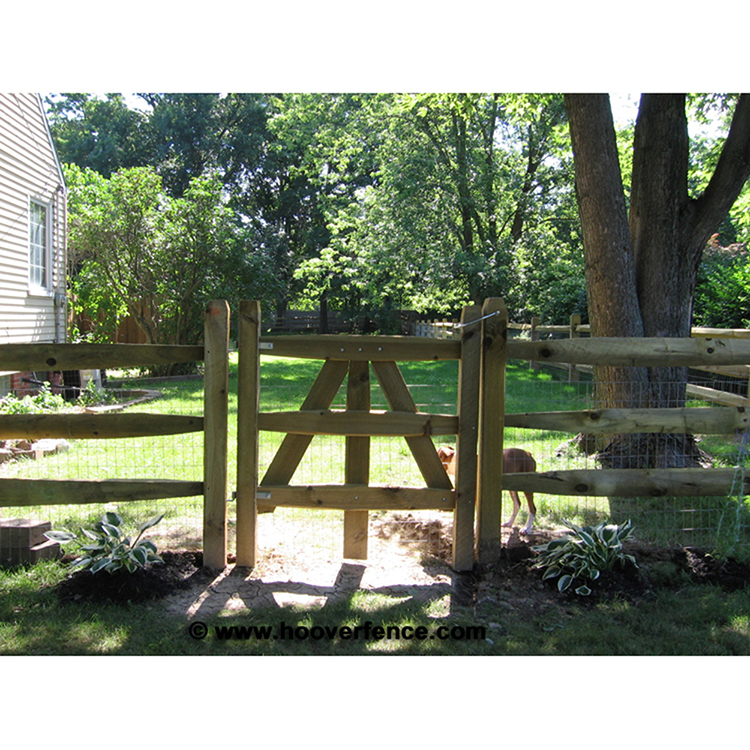 36" high) and a three rail (approx. 48" high) style. 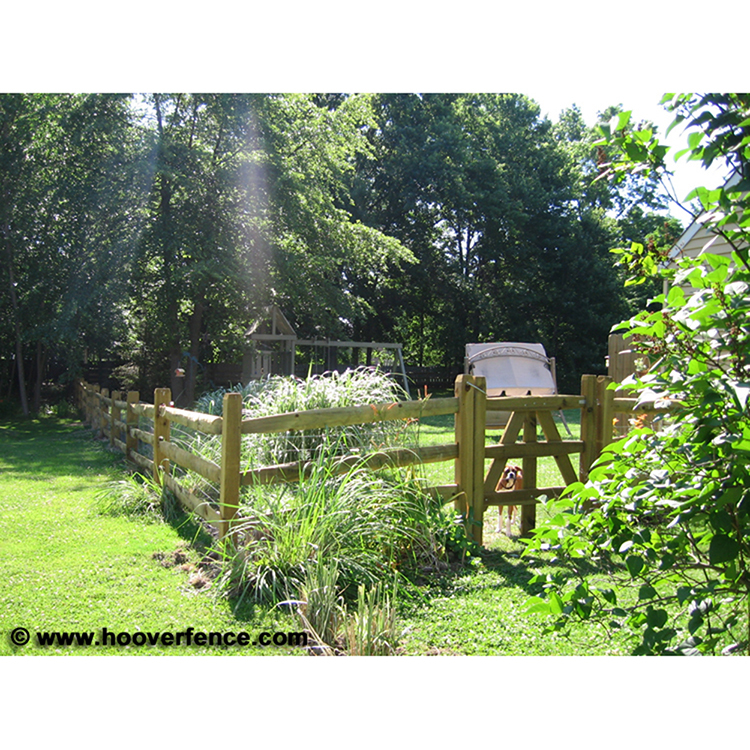 Rails are 11' long and overlap through the posts to make 10"-3" to 10'-6" post centers. 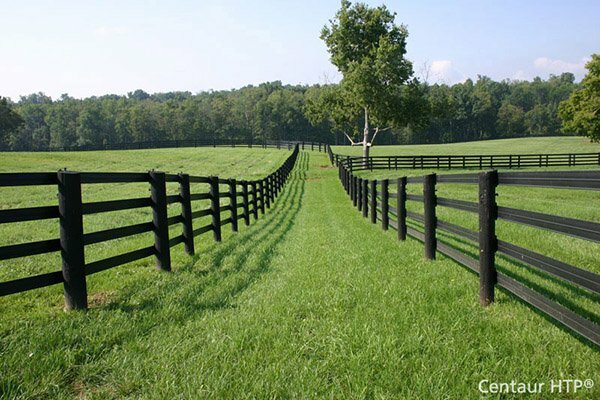 Advantages - Treated lap rail fence is one of the most cost effective styles for defining boundaries, decorating property, and fencing in livestock and horses. 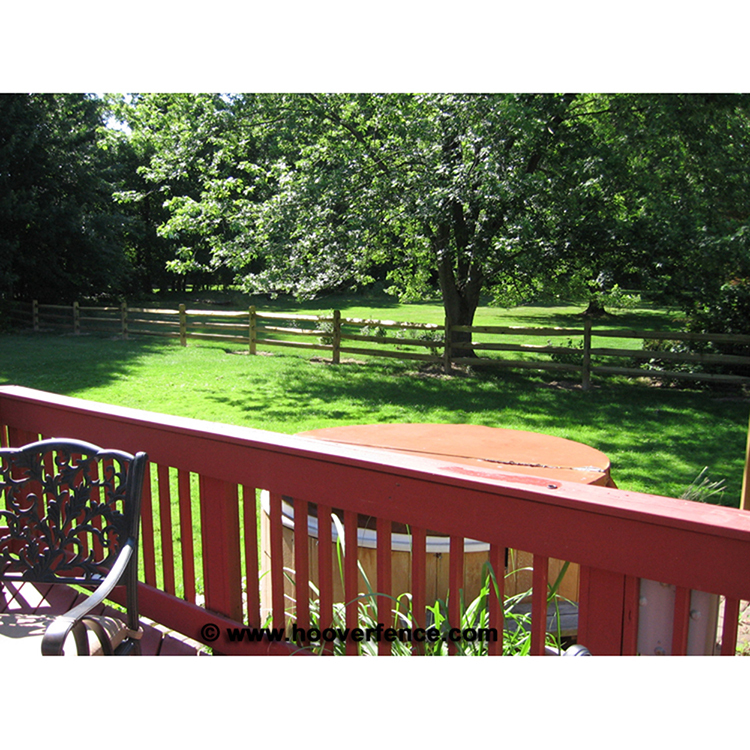 Lap rail fencing is also one of, if not the easiest style of fence to install making it an ideal project for the do-it-yourselfer. 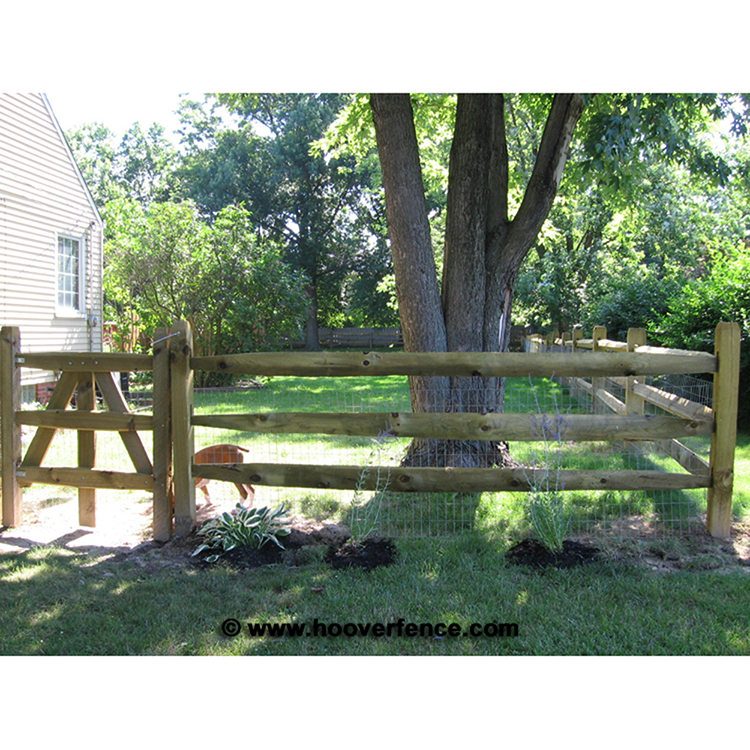 Posts are typically set directly in the ground approx. 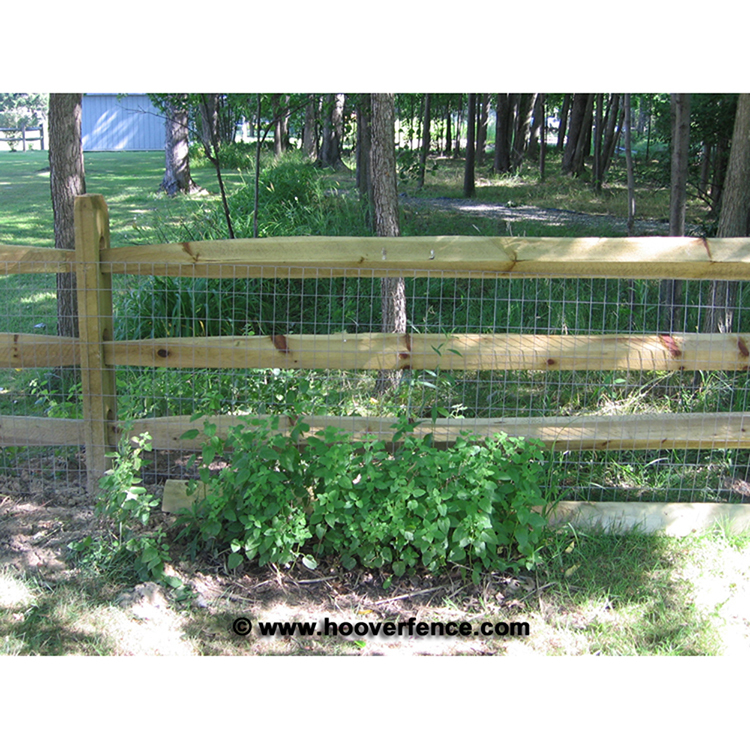 24-30" deep without any concrete. 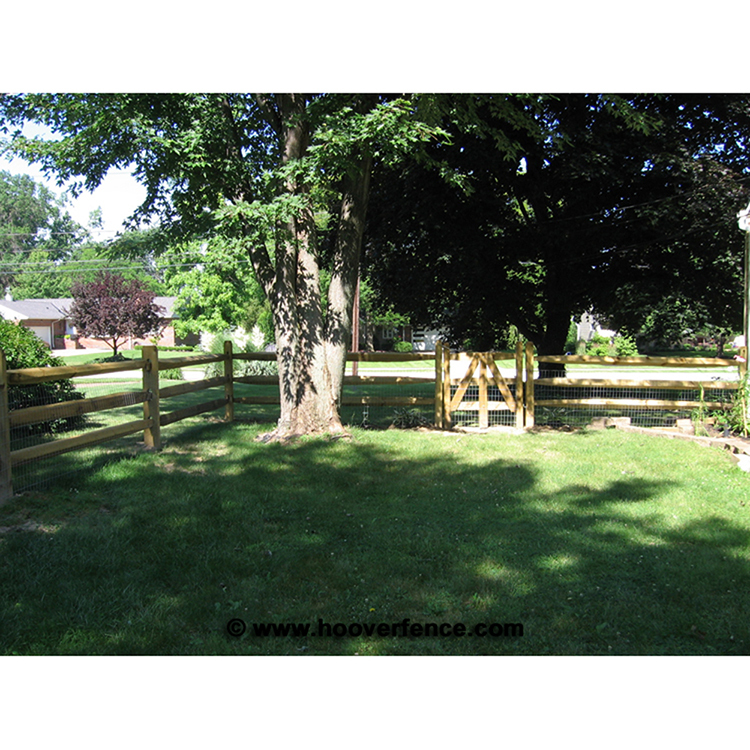 A tamping bar is used to compact the dirt around the post while backfilling. 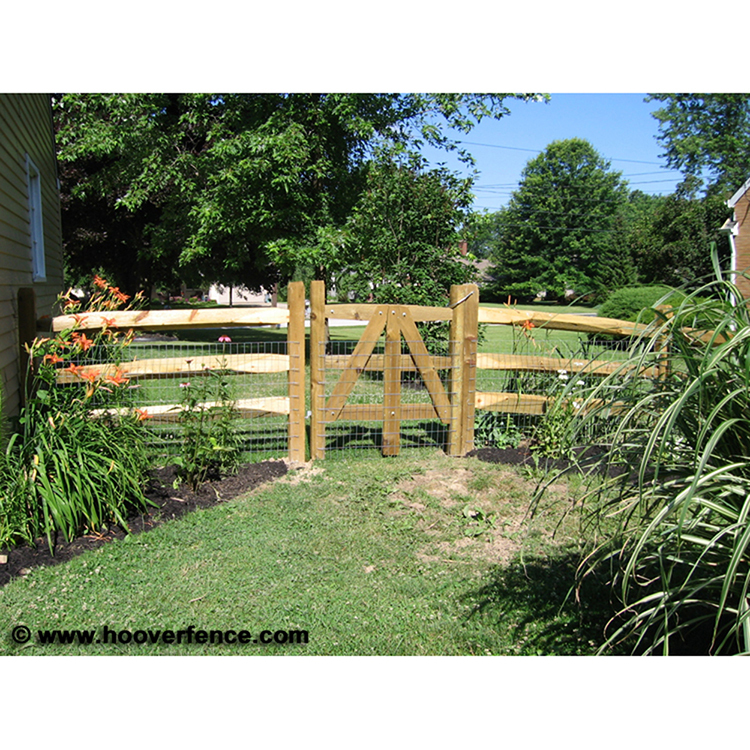 "I have received great compliments on the fence. 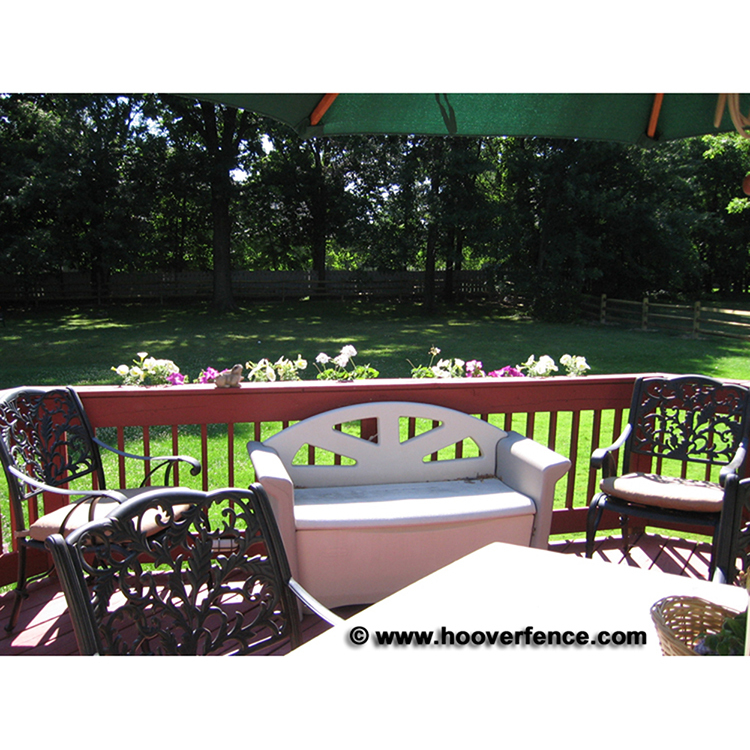 And we are very pleased, we really love it! 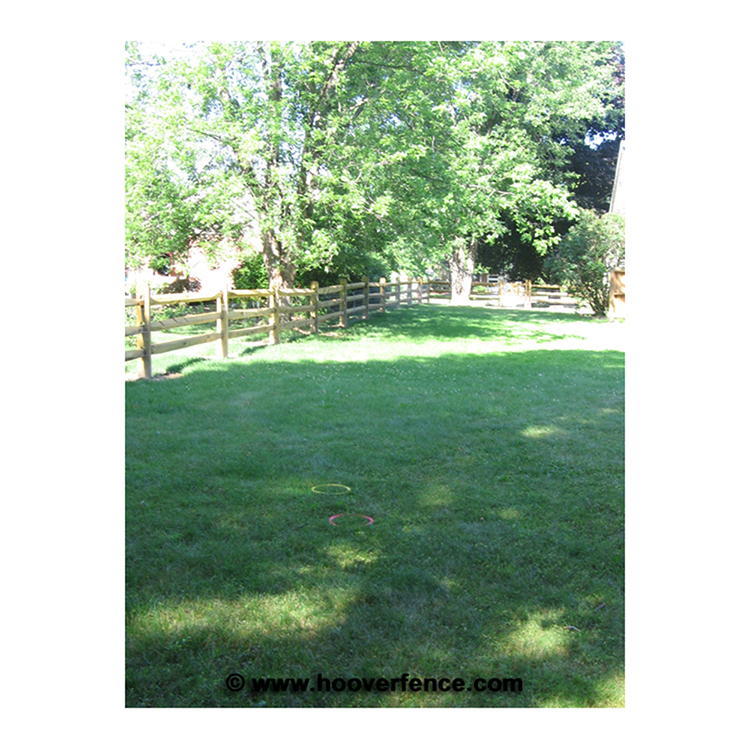 Our 4-1/2 month old puppy runs like the wind (even doing figure eights) across the yard everyday!!"